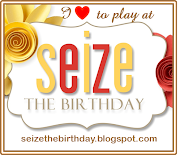 oh my i awoke and went to the blogs and saw that Theme Thursday was a collage and Cute Card Thursday was to reuse something so I could make one card to fit both themes. 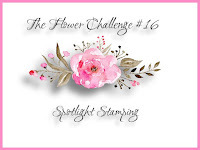 Ive always like this Stampin up set … so i stamped it, tore the edges and put a purple frame behind it , then added some pretty daisy stamps i got on a package from my sister…. 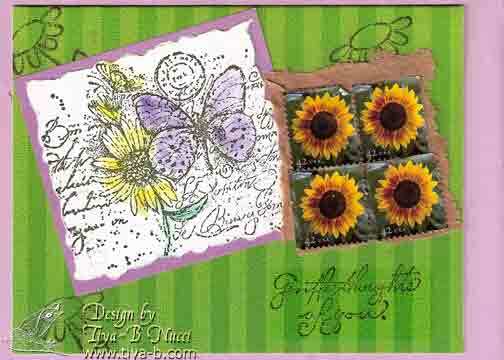 a few daises and ‘gentle thoughts of you’ for the Stampin up set and here it is Garden collage.